Welcome to the Midnight Stage! 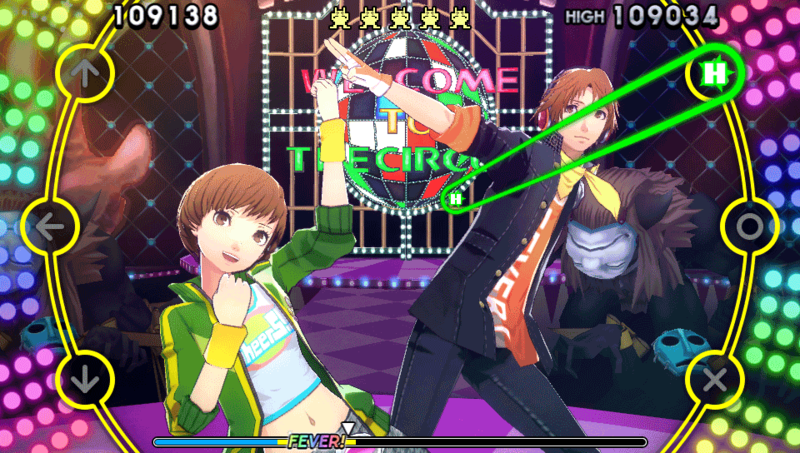 The music is starting up, so get ready to boogie with the Persona 4 crew in their newest adventure! People are disappearing after watching a strange video that showed up on the internet. Members of Kanamin Kitchen, Rise’s junior idol group, are among the missing and it’s up to the Investigation Team to set out on a rescue mission! Things are not what they appear, as they discover that the Shadows from the Midnight Channel are involved. 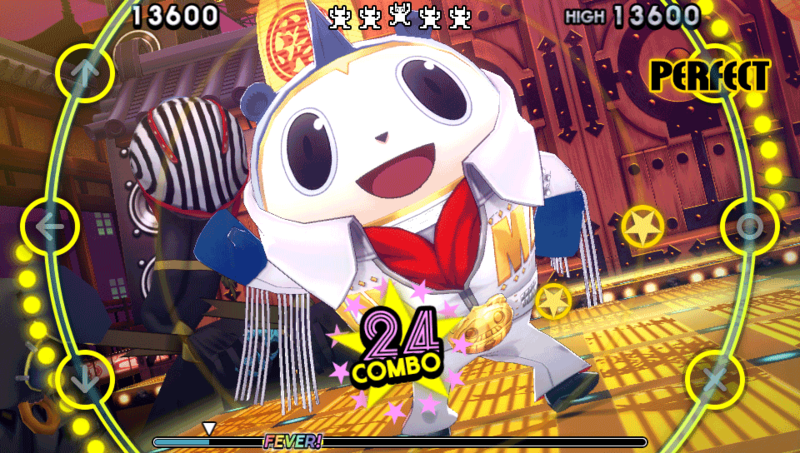 Their Persona abilities are useless, however, as the Shadows in Persona 4: Dancing All Night can only be defeated by dance. 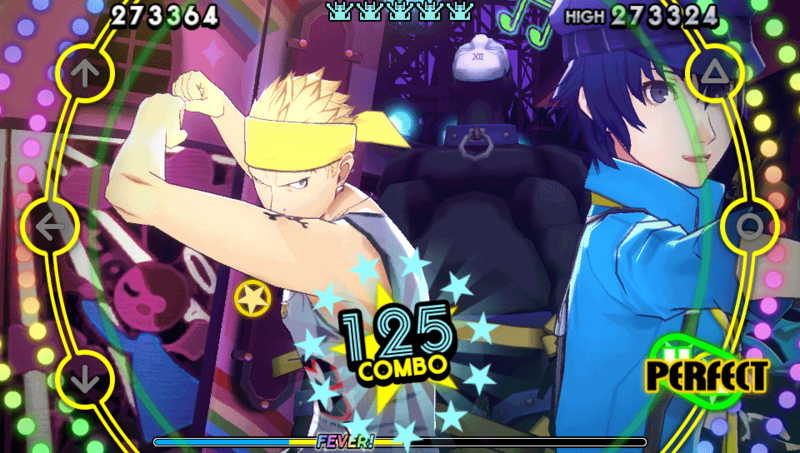 Jive, tango, and pop out powerful dance moves to save the day! 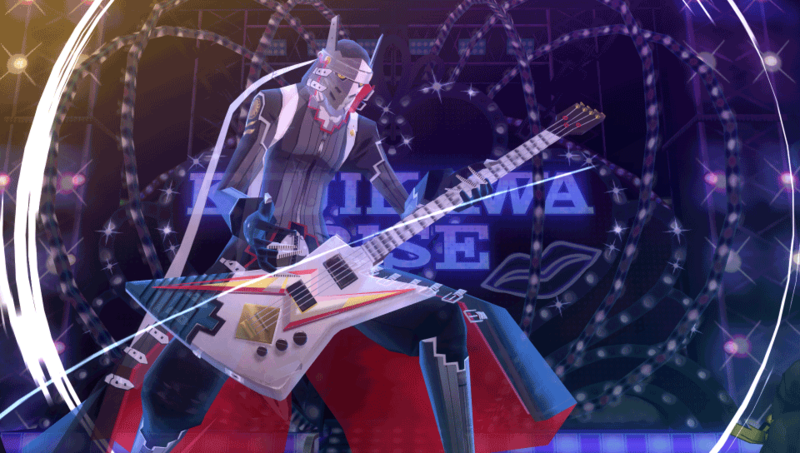 Will you waltz your way through the levels, or will you miss a beat and end up in defeat? 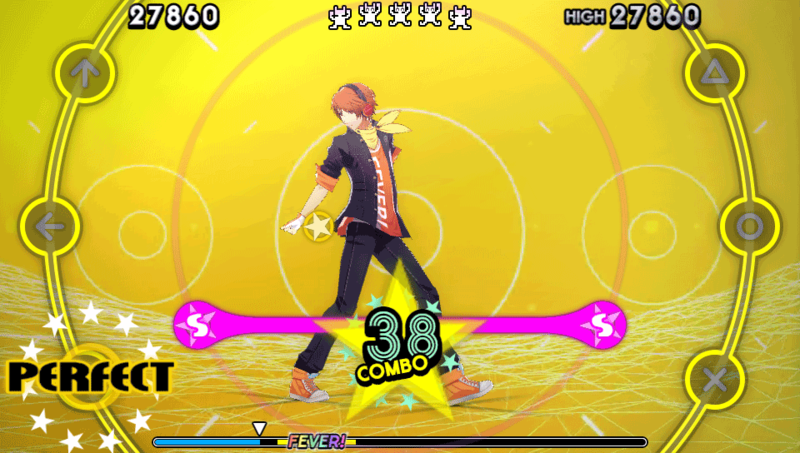 Persona 4: Dancing All Night features mixes of fan-favorite themes and brand new music tracks that you’ll be able to tap to. 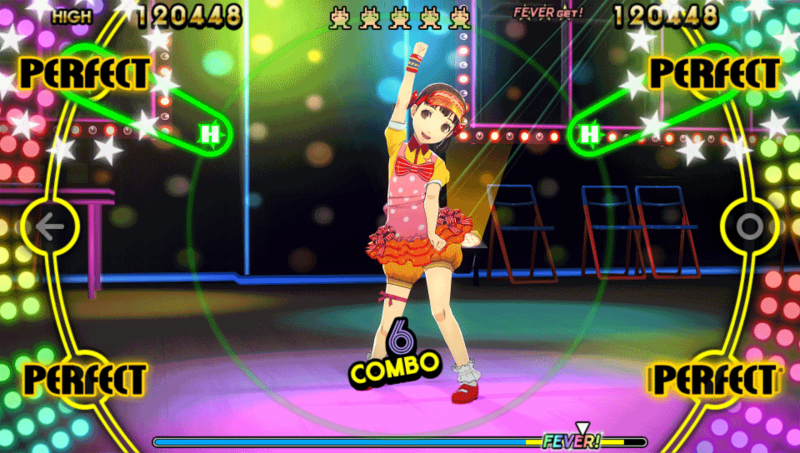 Music, rhythm, and motion combine to test your skills in a disco-fueled dance battle! So tune in, turn on, and GET DOWN!